Home / Giveaways / Cate and Chloe Jewelry Giveaway! 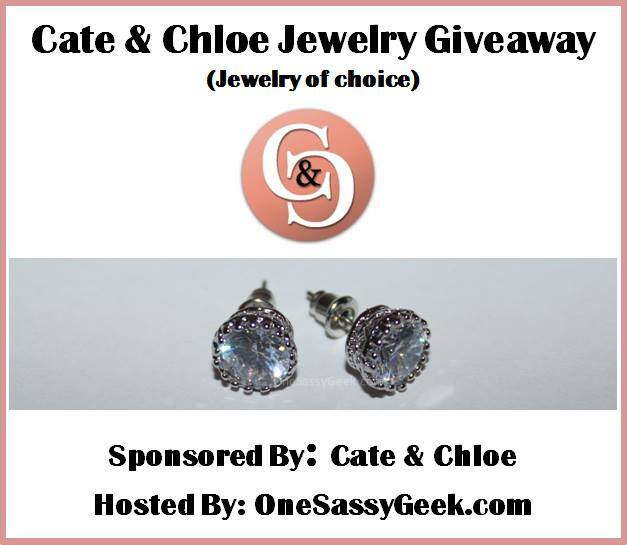 Cate and Chloe Jewelry Giveaway! Read about One Sassy Geek’s review of Cate & Chloe’s Olivia “Dignity” Stud Earrings. This is like being able to shop for your favorite jewelry by yourself for free! Enter this one for sure! I would like to see more reviews on food, appliances, clothing, etc and definitely more giveaways.